This preparation is slightly spicy and lean and delicious. Would work equally well on beef or chicken. Paired with the garlic cauliflower purée below, it’s a hearty-feeling quick meal. Combine spices in a small bowl. 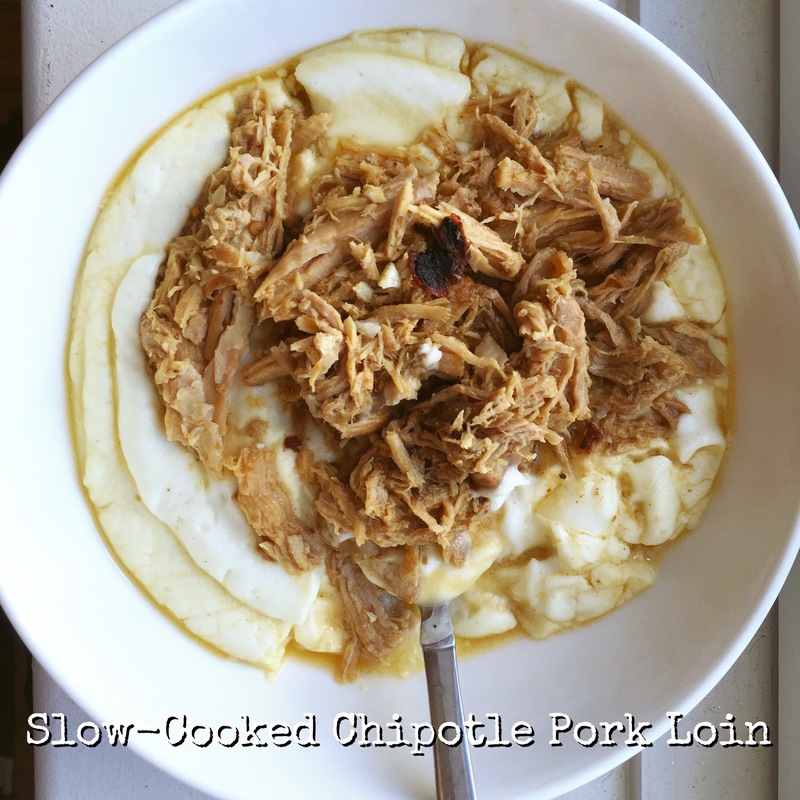 Chop the chipotle and rub it, along with the adobo, on the pork. Sprinkle the spice mix over all sides. Transfer to your slow cooker, add the stock, and cook on low 8 hours. Serve over cauliflower purée. Fill a large pot with about half an inch water. Put over high heat. De-stem and chop the cauliflower. Toss into the pot, add a lid, and steam 8 minutes. Drain and add to your blender or food processor along with the raw garlic, butter, milk, salt & pepper. Blend until smooth.